How are dental instruments cleaned? Have you ever wondered how are the dental instruments cleaned, before being used in your mouth? We, here at SmileSense Dental Clinic follow a very strict guideline for cleaning and sterilizing your dental instruments. As far as possible, use disposable equipment, like, needles, blades, syringes, saliva ejectors, gloves, face masks, head caps, water glasses and drapes. The surface of the chair and all parts which cannot be covered by disposable covers should be disinfected by surface disinfectant, like, 2.5% Chlorhexidine gluconate in isopropyl alcohol. The instruments used during the procedure in first scrubbed to remove any visible blood or tissues. It is then segregated for sterilization either by cold (chemical) or moist (Autoclave) method. Autoclave is the ideal form of sterilization. 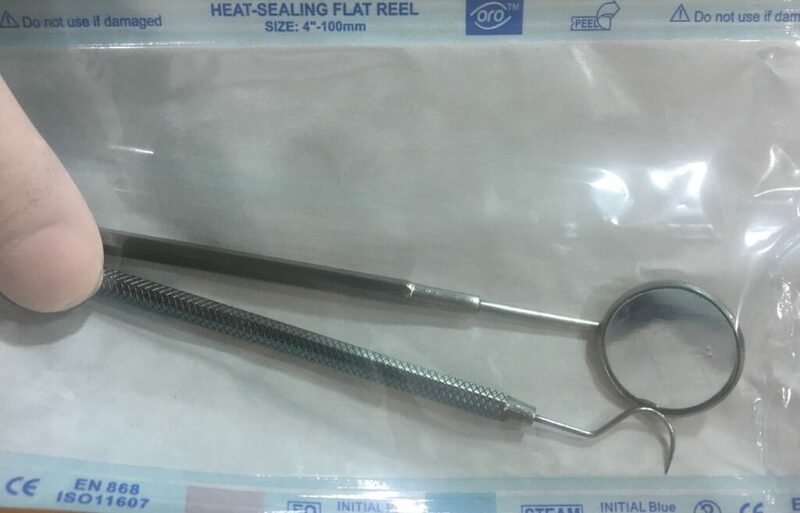 All diagnostic instruments (mouth mirror, probe), surgical equipments, like elevators and forceps, hard pieces, scaler tips, burs and other hand instruments are pouched and sealed in sterilization pouches. These pouches have markers on them to show the completion of sterilization. They are then placed in the autoclave and sterilized. If unused from more than 1 month are again opened and sterilized. Cold or chemical disinfection is done in cases where autoclave is not possible, mostly instruments or equipments having plastic parts. The chemical used is mostly 2.4% Glutaraldehyde. It is used to disinfect aluminum, brass, copper, stainless steel, plastics and elastomers and provides a wide spectrum efficacy against bacteria, mycobacteria, viruses and fungi. The solution can also achieve some sporicidal activity with longer exposure time. At SmileSense Dental Clinic, all instruments used on you are sterilized with utmost care. You can never leave anything to chance.